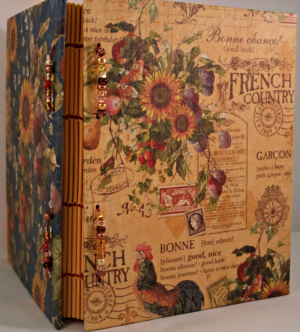 Lovely “French Country” paper by Graphic 45 covers this journal that is bound with an interesting and ancient Japanese binding stitch. Called “The Butterfly” or “Yamato Toji” or a “Double span-span span-span” stitch, it was developed in Japan in the 11-12th century. We’ll use Czech glass beads, and Irish waxed linen to bind this 4 ½ x 6″, 5 section journal and we’ll add a little bronze sunflower charm to the sewing. 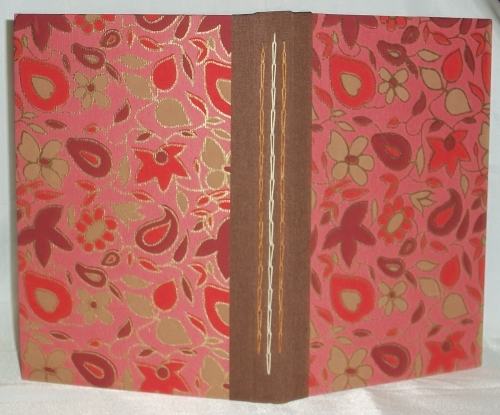 There are 60 unlined, goldenrod colored pages in the text block. 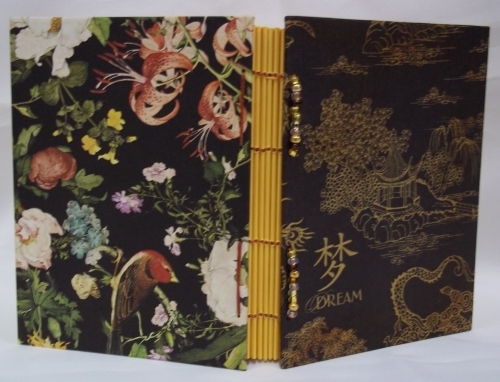 Using an ancient Japanese binding for a French themed paper may seem to be a bad match. 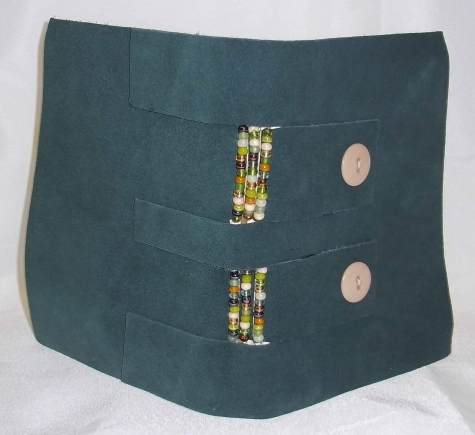 It works because this binding does not call attention to itself, allowing the beauty of the paper, bead and waxed linen to really shine. 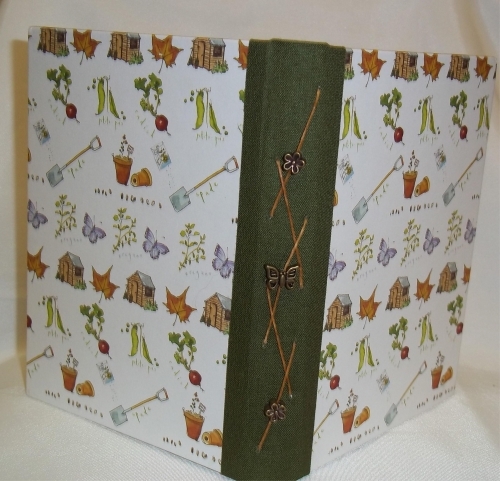 This is a gorgeous journal; one that you will treasure. 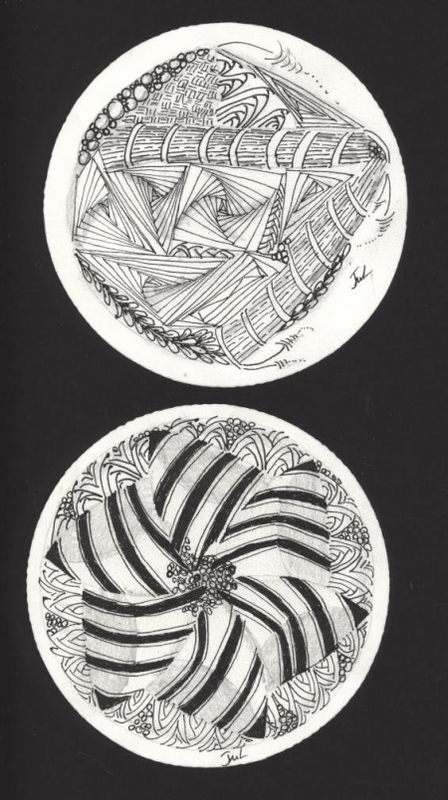 To register, please contact “Prairie Art Stamps” listed under my favorite links.